If you look at coaching and leadership challenges, the things that get in the way of moving towards one’s goals, there is a recurrent theme – FEAR. It could be the fear of change, fear of making a mistake, fear of being vulnerable, fear of looking bad/good, fear of success and more. The good news – coaching is perfectly suited for helping one move past the fear and towards the goal. Even when the goal changes. Our role as coaches and leaders is to support the individual in moving towards their goal farther, faster, easier, better and quicker than they would have without us. That is why organizations and individuals are embracing the use of coaching. Not only has coaching been proven to produce results, it is fully customizable and adaptable to fit each individual and every circumstance. Honestly, no other tool can make that claim! Fear as a challenge is quite broad so to bring this into focus I’ve broken it down into the top five fear related coaching challenges we’ve seen and tips for navigating through them. Getting crystal clear as to what the focus and goal of the coaching is.You and your coachee need to be very clear about what the goal is and what success looks like. AND, very important, you need to check in to see if the goal has changed, as it often does. As a coachee begins the process of self-discovery it is not uncommon that their goal will shift. The adaptability of coaching is one of its strengths so don’t forget to check in often and modify the conversation as goals and objectives change. A good practice is to start the coaching conversation with a few questions about the goal and listening for clues that would indicate a goal shift. If you sense that there has been a change in the goal, pause, evaluate and make any necessary adjustments in the conversation. Don’t get caught up in pursuing a certain path when your coachee has moved to a different one. Use your questioning skills to always stay on top of where the coachee is. Remember that the coachee is in the lead and you, as their coach, must remain flexible and adaptable. Resource: Check out our 365 Coaching Questions Booklet to find ideas on questions to ask to make sure you know where your coachee stands on their goals and objectives. Holding the coachee accountable. This one can be become unpleasant for some coaches, but it is absolutely critical. In fact, lack of accountability is often one of the biggest stumbling blocks for coachees. In many cases, the coachee already knows what they need to do to move forward but they just don’t take the actions. This is a BIG RED FLAG and it is imperative that you help the coachee uncover what is getting in the way. Sometimes just the mere fact that someone is holding them accountable is enough to move them forward. Often though fear is getting in the way. They know what needs to be done but they don’t take the steps because they fear something. They end up procrastinating, making excuses etc. You will need to help them navigate past the fear before the coachee can embrace accountability. Holding a coachee accountable is not just about setting actions and due dates. It is also about demonstrating that you believe in them and what they can do AND, if things are not moving forward, supporting them in finding out what is getting in the way. Unfortunately, the lack of accountability is all too common. Do not let this one slide! Resource: For examples on holding the coachee accountable, check out our Webinar: Live Coaching Sessions. You will also find helpful tools to uncover what is keeping coachees from following through on commitments in our PGFC Assessment Tool. The Goal is TOO BIG/TOO SMALL. To have a productive and successful coaching relationship there must be a gap between where the coachee is and where they want to be. The gap is what will pull them forward. But not just any gap will do. Having the right size gap is important. If the gap is too big it can seem overwhelming and the coachee can become immobilized. If this is the case, break it down into smaller gaps that are more manageable and likely to produce quicker wins. If the gap is too small the coachee may lack motivation. In these cases, support your coachee in creating a goal that is big enough to mobilize and energize. Resource: For help on setting goals with your coachee, check out our PGFC Assessment Workbook. The workbook is designed for coaches and their clients to work through co-actively. Energy draining vs Energizing. At the end of each coaching conversation you want your coachee to walk away energized and mobilized to move forward. If that is not happening, it is important to pause and evaluate why that is. Conversations that are more draining than energizing are often the result of the coachee and coach focusing too much on what is not working or did not work versus focusing on what did work and what will work going forward. In other words, focusing on the negative rather than the positive. Some coachees are extremely hard on themselves and will repeatedly shift the conversation to the negative. It is important that you, as the coach, do not go down that “failure” path with them. Instead, listen with empathy and acknowledge what they are saying. But then shift the conversation to the positive and support the coachee in staying there. Resource: For an example of what an energized coaching conversation looks like, view our webinar: Live Coaching Sessions. Saying or making your coachee feel they are wrong! This one can be a little uncomfortable to mention but coaches, especially those who have or had the role of manager and consultant, can run up against this challenge. If you have been a manager or consultant you’ve played a very different role than that of a coach. Managers and consultants are paid to have the answers and tell their employees or clients what is best. Coaches, on the other hand, should never, ever say or make their coachee feel that they are wrong (even if you truly believe that they are). Doing so goes against the basic principle of coaching and will likely be detrimental to the relationship. Before you start the coaching conversation check to make sure you have removed your manager / consultant hat. Your role as a coach is to focus them forward on the positive; what now and what next can they do to make positive steps toward their goal. Fear can creep in at many different points and take on many different shapes and forms. Even though people like to give a strong façade, underneath it all most coachees (and coaches too) FEAR something that is preventing them from moving forward. Yep, it is scary to take on a new project/goal/doing something they have ever done before etc. But this is our opportunity as coaches to utilize our unique skills to be there by our coachees side supporting, cajoling, challenging and encouraging to move them past the fear and towards the goal. We are all unique and sensitive human beings. Masterful coaches have the ability to develop strong empathy and compassion while still holding people accountable. Just imagine. What if EVERYONE had coaching skills? We are here to support you when it comes to coaching challenges. We offer webinars, coaching guides and courses. View our resources and check out our calendar of events. If you have questions, connect with our Program Advisor who is ready to help. Building a thriving coaching business takes more than just great coaching skills. You also must know how to build a business. For many, this is the hardest part of going out on your own. If you are starting your own coaching business, check out our resources just for you. ICF’s Business Development Series (BDS) designed to help you build, sustain and expand a successful coaching business. Now it is available through OnDemand access! Coaching is catching on. More and more people are turning to coaching because coaching produces results. The performance of individuals, teams and organizations are being transformed when coaching skills are developed, used and become part of the culture. If you are intrigued by what is happening with coaching and want to learn core coaching skills, this fundamentals class is for you. This is a hands-on class that includes practical techniques for trust building, focused listening, evocative questioning, planning and goal setting. The course includes practice sessions that are reviewed by a professional coach who provides feedback on coaching skills and comprehension of the competencies. You will learn the skills and gain the confidence needed to use them. Click on the course name to learn more and register. Testimonial: Coaching Fundamentals was essential to my growth as a human resources professional. I feel like I have the tools I need to have powerful conversations with the people I work with. If your goals include starting a coaching business or using coaching to lead within an organization, you won't want to miss our 5/5/5 Coaching Skills Training Program™. During this course participants learn advanced questioning, multidimensional listening and framing skills. Through the simple, intuitive and highly transferable 5/5/5 Coaching Skills™ framework, participants acquire tools to ask powerful questions, listen in a new way, build trust and provide productive feedback. These skills help coaches guide their coachees to new insights, discoveries and breakthroughs that will help them become self-reliant problem solvers and goal achievers. Join over 18,000 participants who have gone through this transformational program. Click on the title below to learn more and register. Testimonial: I got so much more from the 5/5/5 Coaching Skills Training Program than expected. I thought it would be more theoretical about the basics of coaching, but we delved right into the depth of the most important skills and used them together in a practical way. I gained so much confidence in a short period of time through role playing and receiving feedback from my peers. This was a very inspiring course that has given me new life skills. – Robin R.
Are you looking to enhance your coaching skills? Take your coaching to the next level? Or maybe you are looking for tools to help you with your biggest coaching challenges. If any of these apply, check out our Advanced Coaching Skills Practicum. Click on the course title to learn more and register. Testimonial: Advanced Coaching Skills Practicum is an action-packed class where you learn coaching by coaching. The facilitator creates a unique and supportive environment where everyone's improve their coaching skills receiving constructive feedback. ACSP gives you the confidence needed to start building the coaching hours for certification. – Caroline P.
Are you looking to enhance your coaching skills or take your coaching to the next level? Or maybe you need to obtain CCE credits to renew your ICF credential or add to your coach specific training hours. If any of these apply, check out our Personal Groundwork for Coaching™. In this course you will learn advanced coaching skills to help highlight and explore areas that are often at the source of where a coachee becomes stuck, self-defeating or demotivated. You will also learn how to use the accompanying Personal Groundwork for Coaching Assessment™ Workbook, a widely-used tool to help coaches move their clients past daily symptoms and into the deeper source of what is getting in their way and preventing them from reaching their goals. This is a hands-on class. Each week you will work (outside of the classroom) with a different learning partner to coach one another around the concepts covered in the class. Click on the course name to learn more and register. Testimonial: This program exceeded my expectations! I walked away with a toolbox of coaching strategies and personally made changes and grew in my own life. It was excellent. - Karen R.
This course is designed to prepare coaches for the ICF Coach Knowledge Assessment exam which must be successfully completed prior to receiving the International Coach Federation (ICF) ACC Credential. The course covers ICF Core Competencies and Ethics and Standards plus test taking strategies. This prep class will present several questions each week that mimic the multiple-choice questions you will be asked to answer in the CKA exam. Click the course link below to learn more and register. Testimonial: The Coach Knowledge Assessment preparation was a powerful programme which affirmed the coaching learning I had achieved in my journey with other Coaching out of the Box programmes as well as preparing me for the ICF quiz and demystifying it. On top of this I learned a lot through the wisdom and coaching experience of the facilitator. This is so helpful for anyone aiming for ICF ACC accreditation. - Ian M.
Develop the skills and set yourself apart by jumping on the Fast Track. Coaching is becoming more and more competitive and yet many coaches have no credential and minimal training. One of the best ways to set yourself apart is to complete the training and earn a coaching credential. But pursuing your ICF Credential is a big step and commitment. That is why we created the Fast Track to ICF Credential - to streamline the process and make it as convenient as possible. ● FAST TRACK: Takes only 6 months to complete (other programs may take as long as 18 months). ● ROBUST, DISTANCE-BASED LEARNING: We use cutting-edge technology to create an in-person, interactive classroom experience while you participate remotely. ● TOP-NOTCH EDUCATION AND TRAINING: You get world-class instruction from expert coaches with experience in both coaching and teaching. ● FLEXIBLE SCHEDULE: We offer day and evening classes for your convenience, and new classes start throughout the year. ● AFFORDABLE: This program is priced to fit into your budget. Save $495 US / $595 CDN when you register for the package option. Don’t need the package option? You also have the choice of taking separate modules a la carte. We even have a payment plan. Testimonial: Coaching Out of the Box® gave me much more than what I expected. After the first couple sessions of FastTrack I was thinking, wow I've learned so much already and was really excited about what I would know by the end of the program. It didn't disappoint, I feel I'm a much better coach and understand coaching in a way that I never imagined I would. Excited about moving people forward with my new found understanding. - Brad W.
You've done the training, developed your coaching skills and now you are ready to leverage your expertise. But where do you go from here? If you want to expand your reach, add a new tool to your toolkit and a new source of revenue, this course may be just what you are looking for. This course prepares you to become licensed to deliver the 5/5/5 Coaching Skills Training Program™. As you go through the course you will gain in-depth knowledge of advanced coaching skills and learn to use your skills in a new and expanded role. Testimonial: I really enjoyed the small group training in the Train the Trainer Program. It was a safe space to get questions answered about presenting the 5/5/5 content to others. The teach backs were fun and gave everyone more confidence to get started training. – Carol H.
We offer many resources on a wide variety of topics to support coaches at all levels. On our website, you can find blog articles, educational videos, webinar recordings and more under Coaching Resources. We are continually updating this section so check back often. To make it easier to find what you are looking for we’ve organized the most popular resources by topic. G = Guide and W = Webinar. Sustainable change – we hear this term used a lot but what do we really mean and why is this so important in the world of coaching? I’ve talked a lot about how the type of work we do, and the way work gets done is changing rapidly. The new work environment requires a way to lead that will produce positive and sustainable results; a leadership approach that is continuously adaptable to internal and external change. Taking a coach approach to leadership is doing all of that and more. It is helping individuals and organizations not only adapt to change but thrive. Why does the coach approach work so well in today’s environment? The coach approach to leadership is a holistic method that can easily be adapted while at the same time producing desired and sustainable changes. The coach approach to leadership is not a set formula but a flexible and adaptable tool that evolves with the coach, coachee and environment so that the approach and outcomes are never outdated. This new coach approach to leadership can be integrated throughout the organization and sustained for long-lasting positive change. But, will coaching and the coach approach to leadership remain viable as we move into the next decade? To find the answer, I think one needs to look no further than the trends taking place in leadership. As leaders and coaches, we must pay attention to trends and predictions to stay relevant. So, let’s start by checking in with some of the leadership authorities and their predictions for leadership of the future. As you read through the list, take notice of the words I’ve highlighted in red. These are their words, not mine, but I couldn’t help noticing what these tell us about how well coaching fits into leadership of the future. Below are what some of the experts are seeing as trends in leadership. Do you see the same trends? Do you see how well coaching fits with leadership of the future? Leaders and their organizations are becoming agiler. As leaders, it's important to adopt a nimble mindset and culture. Age range in the workforce will continue to expand. With the decrease of age-based seniority, leadership will be taken by the best person for the role and will likely shift frequently in an agile environment. Leaders need to identify and build talent at an increasing rate. Employee engagement will continue to be important in volatile times. Leaders and organizations need to focus on soft skills such as emotional intelligence that have a strong impact on engagement and the effort employees put into communicating. Investing in Human Capital Development. Helping employees thrive in all areas of their lives (not just work), will create more engagement, productivity and overall happier employees. Leadership Empathy. Gen Y and Gen Z talent will continue to leave command-and-control cultures for collaborative workplaces. The ability to understand, relate to and be sensitive to employees, colleagues and communities will be paramount. We will see an even greater emphasis on listening, relating and coaching to drive effective leadership. Having an Objective Outsider. Many companies are great at in-house training and coaching, and there is great value in working in the same environment as your coach or mentor. However, it's oftentimes difficult to be objective when you are seeing the same people every day. Your perception gets clouded and it becomes hard to be impartial around team challenges or feedback. Having an independent outsider helps all gain clarity. Promoting Continuous Education. As the business landscape persistently grows in competitive intensity, every organizational member must be smarter. Therefore, continuous learning will be at the forefront of management's agenda to gain and sustain a competitive advantage. Hopefully you’ve come to the same conclusion that I did – coaching and the coach approach to leadership is well positioned to help organizations and individuals thrive well into the next decade. In our next FREE webinar we will be discussing this very important topic and supporting you in understanding what is required to take a coach approach to leadership for sustainable change. If you are interested in supporting long-lasting positive change through coaching, be sure to join us. If you are interested in leadership, talent management, thriving in a rapidly changing world or all the above, you’ll want to attend our next free webinar. New, experienced and future leaders who want to understand how a coach approach to leadership can create positive and sustainable change. Coaches who work with leadership, helping them navigate the changing work environment. Organizations and individuals are being challenged. There is rapid change all around us. Work is changing. The workforce is changing. The model of a leader and a successful organization is evolving. Leaders need tools to navigate these changes. One of the things we hear frequently is that new and growing coaches would like more opportunities to see how different coaches approach different coaching situations. In other words, they would like more opportunities for the powerful tool of observational learning. If you aren’t sure this tool can work for you, consider the following points. Observer listens and watches coaches in action. The observer pays attention by listening to what is said by the coach and coachee and watching non-verbal communication that occurs between the two. Observer uses proven methods to remember what was observed. This could be note taking, recording the communication and a feedback session where key points are discussed, dissected and reinforced. Observer uses what was learned in the observed coaching session. This is key. The sooner the skill is used the better as we have the “forgetting curve” working against us. Work done by German psychologist Herman Ebbinghaus provides an actual mathematical representation of the exponential rate at which we lose a memory “if no attempt is made to retain it”. Roughly 70% of a memory is lost within the first 24 hours! Observer receives feedback on the applied skill. Either positive or negative feedback is received, and the observer adjusts accordingly. The tool of observation is powerful and often helps coaches get to an aha moment when it comes to tackling coaching challenges. When observing others coach, they can see the skills used and start to really 'get' the power of coaching. You’ll have the opportunity to try out observational learning during our next webinar. We will have live coaching sessions with real coaches and real situations for you to observe. This will be a unique observational learning opportunity and a lot of fun in the process. Attend the webinar to start the observational learning process (Attention and Retention), then go out immediately and practice what you observed to complete the process (Reproduce and Motivate) and ingrain the skills. Read more about the webinar and register here. Our next webinar features live coaching sessions and you won’t want to miss it. These sessions will be real, unscripted, unrehearsed and live. During this webinar we will have experienced coaches tackle real challenges. No scripting, no rehearsals. Sort of like the improv of coaching. You will observe coaches using their coaching skills in the moment; figuring out what the next question is and where to support the coachee as the dialog unfolds. Developing coaching skills requires practice but it can be intimidating when first starting out or trying advanced skills. Watching other coaches in action (Observational Learning) can be a great tool to learn and a way to build confidence in your own skills. In this webinar we will present 1 or 2 real live situations and have real coaches utilize their skills. After the coaching sessions there will be feedback and discussion – to highlight what worked and what they might have done differently. If you are interested in observing real coaches utilize their coaching skills in real coaching situations, you’ll want to attend our next free webinar. Don’t miss this unique learning opportunity. New or experienced coaches who want to develop or enhance their coaching skills. Those who could benefit by observing different approaches or techniques or get validation that you’ve got it right. Observational learning is a powerful tool. It is proven to work. You will observe real coaches and real coaching situations. You will see coaching done on the fly – just like you experience as a coach. Each real coaching session will be followed by feedback and discussion to enhance the learning experience. During this course participants learn questioning, listening and framing skills. These skills help coaches guide their coachees to new insights, discoveries and breakthroughs that will help them become self-reliant problem solvers and goal achievers. This course provides in-depth learning of core coaching competencies including multiple practice and feedback sessions. Join over 18,000 participants who have gone through this transformational program. Click on the title below to learn more and register. Starting a coaching business is exciting. You will have the opportunity to utilize your skills and passion for coaching while having the flexibility to set your own hours and the freedom of being your own boss. But, at least for some, the idea of starting a coaching business can produce feelings of insecurity and uncertainty. Most likely you have spent your career working for someone else and someone else was ultimately responsible for the success of the business or organization. When you start your own business and become your own boss, you will be solely responsible for your success. To set yourself up for success, you’ll be smart to have both coaching skills and entrepreneurial/business skills. If you are starting your own coaching business, you have completed training to develop your coaching skills. But, have you given the same attention to your business skills? If not, read on for strategies and tips to get the business side of things right. There are several things you can do before opening for business that will maximize your chances for success. If you are planning to start your own coaching business, you’ve got the coaching skills, but do you have the necessary education and training in business and marketing? Like many new business owners, you might be in the category of you don’t know what you don’t know. A smart first step is to take a few business / marketing classes. You wouldn’t coach without having the skills so why would you start a business without knowing how to run one? There are many options for finding business/marketing classes. Check local colleges, business organizations, online courses, government organizations and more. Two excellent resources are the ICF Business Development Series and the Small Business Administration, offering online courses, local classes and other services in many locales. You will not only learn business skills but many of these give you an opportunity to develop your business owner/entrepreneur network. A business/marketing plan is a great tool to help you plan the launch of your business and to keep you on track. You don’t have to make this too complicated or time consuming. What is important is that in the process of developing your plan you think through all the potential challenges and opportunities. Creating your plan will help you gain a clear picture of your goals, expected outcomes and the requirements to get there. Tip: Don’t fall into the trap of thinking ‘my business is too small to need a plan’. Even if you will be a solopreneur working from your home, a business plan will be a valuable tool. Tip: Consider launching your business while you are still employed. It may be challenging to juggle both but doing so can provide a safety net and a chance to learn what you don’t know before taking the plunge. There is a lot more to starting and growing a successful coaching business than excellent coaching skills. Many who start their own business are excellent coaches but struggle when it comes to the business side of things. If you are thinking of starting your own coaching business or want ideas on how to grow, this webinar is for you. In this webinar, we will cover strategies and tips for building a successful coaching business. We'll look at steps you can take before you open for business as well as tips for success during the first year. Click on the course name to learn more and register. Are you looking to enhance your coaching skills or take your coaching to the next level? Or maybe you need to obtain CCE credits to renew your ICF credential or add to your coach specific training hours. If any of these apply, check out our Personal Groundwork for Coaching Program™. In this course you will learn advanced coaching skills to help highlight and explore areas that are often at the source of where a coachee becomes stuck, self-defeating or demotivated. You will also learn how to use the accompanying Personal Groundwork for Coaching™ Workbook, a widely-used tool to help coaches move their clients' past daily symptoms and into the deeper source of what is getting in their way and preventing them from reaching their goals. This course is designed to prepare coaches for the ICF Coach Knowledge Assessment exam which must be successfully completed prior to receiving the International Coach Federation (ICF) ACC Credential. The course covers ICF Core Competencies and Ethics and Standards plus test taking strategies. This prep class will present several questions each week that mimic the multiple-choice questions you will be asked to answer in the CKA exam. Click the course link below to learn more and register. Our coaching guides continue to be very popular and we will be adding to these in 2018. If you haven’t taken advantage of these free resources, you can find them here. Building a thriving coaching business takes more than just great coaching skills. You also must know how to build a business. For many, this is the hardest part of going out on your own. If you are starting your own coaching business, check out our guide – Making it as a Coach or view our recent webinar Making it as a Coach: Strategies for Success. Coaching challenges – whether you are a new coach or seasoned, we all run into sticky situations now and then. This month I am focusing on a couple of the common challenges that coaches face and provide some practical tips for overcoming them. Challenge #1: Overcoming misconceptions about what coaching is. Although coaching is not new, and much progress has been made in educating people about coaching, there are still those who are unaware or have misconceptions. One misconception about coaching that persists is that it is for people who have a performance problem. If a potential coachee holds that view and coaching is suggested, you are likely to face someone who is ready to put up their defenses. You may also run into people who are unaware of what coaching is or those who confuse it with mentoring or consulting. If you face any of these challenges, you must do some educating before any real coaching work can begin. Before starting with a new client or attempting to sell coaching services to an organization, make sure you know what their understanding and view of coaching is. A good way to think of coaching and to put it into language that others can easily grasp is to position coaching as a tool to unleash human potential, increase motivation and sustain high performance. Who doesn’t want that? Use your questioning and listening skills to learn what the client thinks coaching is. Do they understand the difference between coaching, mentoring, consulting? Do they have a positive, neutral or negative impression of coaching? If you need ideas for new questions or new ways to ask a question as you work through this challenge, you may find our 365 Coaching Questions Booklet helpful. Make sure you understand what your potential client / coachee goals and objectives are, and that coaching is the right tool. Coaching is a powerful tool, but it is not the answer to every problem in every situation. You must be able to recognize when coaching is not the best fit and be willing to pass on the opportunity when it is not the best tool to use in a given situation. It is much worse to try to force coaching into a situation where it doesn’t belong. For example, if someone isn’t ready to be coached or is looking for someone else to provide solutions to their problems. In these situations, consulting or mentoring may be more appropriate. As we all know, coaches help people develop their own solutions, not tell them what to do. Challenge #2: Your coachee is not willing to commit / follow-through to action. This is a challenge both new and seasoned coaches face. You think things are going along well. You are having good coaching sessions, the coachee seems engaged and motivated. You’ve worked out an action plan and feel good about the progress being made. Then, you are caught off guard to discover your coachee has not followed through on the agreed to action plan. Maybe the first time it happens you are not too concerned. You use your questioning skills to understand the reason for lack of follow-through. You and your coachee do a reset of the goals and continue. But then, when the coachee fails to follow through multiple times, you’ve got a real challenge on your hands. Successful coaching is about unleashing potential, helping someone to change and be accountable for his/her future. After you have guided your coachee to an appropriate solution, if he/she is unwilling to be accountable for making it happen you can try a few strategies. If your coachee is not following through on commitments, it could be that the goals created are not the right ones. A good first step is to do some exploration with your coachee to understand if the goal is the right one, and if not adjust. You can be assured that there is a roadblock to be uncovered if your coachee’s lack of follow-through behavior is on-going. It may be worth doing a rewind and diving deeper. Our Personal Groundwork for Coaching Assessment™ and accompanying Personal Groundwork for Coaching™ Workbook is a great tool for doing this. It allows coaches to highlight and explore areas that are often at the source of where a coachee becomes stuck, self-defeating or demotivated. Coaches use this tool to uncover the deeper source of what gets in their coachee’s way when moving toward bigger and broader goals. This tool can help you and your coachee uncover what is at the root of their lack of follow-through. Establishing or, if necessary, revising the coaching contract can be helpful in addressing this challenge. The contract clearly states the roles, responsibilities and expectations. Perhaps the coachee was eager to please and agreed to the contract before really understanding and embracing the process. If the above strategies and tactics fail to produce the desired result, a last option is to discontinue coaching him/her. None of us want to get to this point but, in some cases, this may be the best option for coach and coachee. If you do get to this point, be sure to use it as a learning experience. We are here to support you when it comes to coaching challenges. We offer webinars, coaching guides and courses. View our resources here. If you have questions, connect with our Program Advisor. If your 2018 goals include starting a coaching business or using coaching to lead within an organization, you won't want to miss our 5/5/5 Coaching Skills Training Program™. 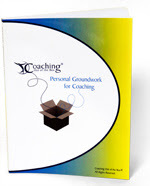 Personal Groundwork for Coaching Program™ - starts July 16. NEW COACHING GUIDE: We just added a new guide on how to bring coaching into your healthcare organization. Note: This guide was based on the experience of several healthcare organizations but the learning applies to any industry. Get your free guide here.